Search Results for "whale in the water"
1950s: Man stands behind harpoon on deck of boat. Man fires harpoon at whale. Whale in water. Water Boat Alaska Whale. Whale in Alaskan water swimming while shooting water out of blow whole. Pilot whale in blue water aerial shot. Diving whale in the ocean. Tail of a Whale Coming out to Breathe in Caribbean Waters. Whales swimming and splashing water in the open Caribbean sea. Wild life fauna in Bocas del Toro islands in the Isla Bastimentos National Marine Park in Panama. 1950s: Whale swimming in ocean. Man stands with harpoon on boat as film crew films him. Whales in water. Three men on boat watching whales. whales blowhole ocean. Two whales swimming with one whale coming up from water and blowing out the blow hole. 1950s: DURBAN, SOUTH AFRICA: winch on ship. Men attach fin whale to ship. Fin of whale in water. Dead whale in the water of Arctic Ocean at the shore in Svalbard. Wildlife in Nordic badlands. Unique footage on background natural landscape and snow of Spitsbergen. Bowhead whale breaching the water of the Arctic ocean. Slow aerial shot over the ocean with whales breaching in the distance at sunset. Smooth glassy water reflecting the color of the sky. Whale jumps out of the water at beginning and end of shot. Pilot whales family in blue water aerial shot. Sunny day with whales in the ocean. Pilot whales family in blue water aerial shot. Sunny day with whales in the ocean. Sailboat passing by. Water Boat Alaska Whale. Two large Alaskan Whale swimming in freezing Alaskan waters shooting water out of blowhole and flicking tail. Water Boat Alaska Whale. Two large Alaskan Whale swimming in freezing Alaskan waters. 1950s: Whale is pulled alongside boat at sea. Small boat pulls in whale to harbor. Whale is hoisted out of water onto shore. Water Boat Alaska Whale. Large Alaskan Whale swimming in freezing Alaskan waters. Whale coming out to splash water with its huge tail aerial drone. 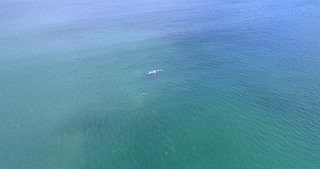 Whales swimming in the open Caribbean sea aerial drone view. Wild life fauna from the depths of the ocean. Whale calf ocean. whale and calf swimming. Whales tale comes out of the water and splashes.